The incinerator would burn 2,640 tons of garbage each day - making it one of the largest incinerators in the country. The Finger Lakes are facing an enormous environmental, public health and economic threat that few people know about. There is a new proposal to build a massive garbage incinerator in the town of Romulus, New York, less than 4 miles from the shores of Seneca and Cayuga Lakes. If approved, it would be built at the old Seneca Army Depot, just a few hundred yards away from the Romulus K-12 public school. It is also near Hillside Children’s Center, a residential facility for troubled youth, the 5 Points Correctional Facility, Willard Drug Treatment Center and the Seneca County Jail, making this an environmental justice issue. Seneca Lake Guardian is the lead organization fighting this proposal with a three-pronged approach. We’re working with State decision-makers to pass a bill that would prohibit garbage burning facilities within the Finger Lakes Watershed, we’re assisting the Town of Romulus in its defense against Circular enerG in two Article 78 lawsuits, and we’re preparing to be a party in a potentially lengthy Article 10 proceeding against the project. Circular enerG (not a typo) was incorporated just over one year ago and they have no track record of ever handling municipal solid waste, let alone building and operating a massive garbage burning incinerator. The incinerator would burn 2,640 tons of garbage each day – making it one of the largest incinerators in the country. The 260-foot smoke stack would emit lead, mercury, acid gases, nitrogen oxides and dioxins in a region that is home to hundreds of wineries and vineyards. Incinerators emit huge amounts of carbon dioxide, often more than coal plants, making climate change worse. It is projected that 238 huge trucks hauling trash would rumble through the Finger Lakes region each day, and additional trucks would remove the toxic ash. Eventually, the company may rely on trash trains to import garbage from a vast geographic range. As the Finger Lakes is poised to grow its agricultural economy, including grapes and wineries, and is really getting a foothold as a tourism destination, this is the last thing this region needs. The pastoral landscape of Seneca County is already disrupted by Seneca Meadows, an existing giant landfill. There are better ways to deal with solid waste. It is time to fully embrace waste reduction, recycling and composting as the foundations of a sustainable solid waste policy. Local zoning would prohibit this facility from being built in Romulus. Initially, Circular enerG applied for a variance. But they have now changed course and decided to circumvent the local government and go to the New York State Siting Board for approvals. The state’s Article 10 Power Plant Siting Law allows garbage incinerators to be included in the expedited siting process. This process overrides the State Environmental Quality Review Act (SEQRA) and gives the siting board the option of ignoring local zoning and local laws that would block construction of the incinerator. The residents of the Finger Lakes need your help. 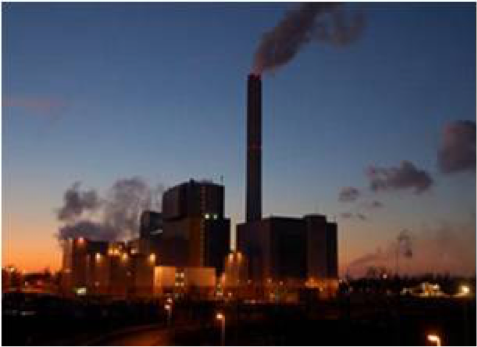 Although presented as state of the art, the youngest incinerator in the Netherlands is far from a clean: long-term tests reveal emissions of dioxin, furan and persistent organic pollutants far beyond the limits. GAIA (Global Alliance for Incineration Alternatives) information sheet on incinerators. by Professor C. Vyvyan Howard MB. ChB. PhD. FRCPath.